invisiblediamond wrote: The ripa tsal wang has a particular feature these others do not. And the Kagyu blessing has a particular taste of energy the Rigpa tsal wang does not. I think you really shouldn't talk openly about this empowerment you got Paul, for your own sake. Also your experience is quite limited when it comes to Dzogchen. Well, I am talking about rig pa'i rtsal bang in the mengakde. I think the purpose is quite singular or else you would be introducing something that was still mind. There are different kinds of rig pa'i rtsal dbangs even within man ngag sde. Of course they are different. There are for Trechö and Tögal and every tradition have there own style. But are they introducing the natural state or not? Its just not that simple. Malcolm wrote: Its just not that simple. Well, tell us how it is? I believe the Kagyu also say the Jñāna descent could happen by psychic connection due to close past connections between master and student. In DC the master has to be in contemplation to give transmission. These are close. Malcolm wrote: Read Kongtrul's encylopedia on practice lineages, he describes it perfectly. Malcolm, what exactly do you mean with "Kongtrul's encyclopedia"? Are you talking about this: http://www.chinabuddhismencyclopedia.co ... =Mahamudra? Or is there also some book with that title? Specifically, Treasury of Knowledge, Esoteric Instructions. I've found something related to this topic. What do You guys think of this? RobertoKhorviano wrote: I've found something related to this topic. What do You guys think of this? It is standard Kagyu Mahamudra. 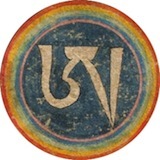 Essence Mahamudra is considered equal to Dzogchen Trechö. Tantra Mahamudra is what is practiced in all the Sarma schools. Sutra Mahamudra is a little controversial outside the Kagyu tradition.